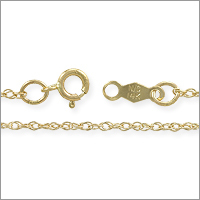 Our 14 Karat Gold Cable Chain is 18" in length, made in the USA, and is nicely finished with a Spring Ring Clasp and Chain Tag. The chain comes on a display card for easy presentation. The chain is what i was looking for (the description help a lot to choose right chain), have a nice shine and worked perfect on my project!!. Q: I am looking for a necklace that I can add beads to it. Is this one of those necklaces? Q: Hey Would you be able to send me a picture of the tag on the cable? Where it shows 14/20 or 1/20 What does this one say? Q: How long is 1 pc ? 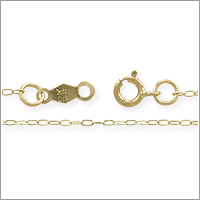 A: Each chain is 18" in length. 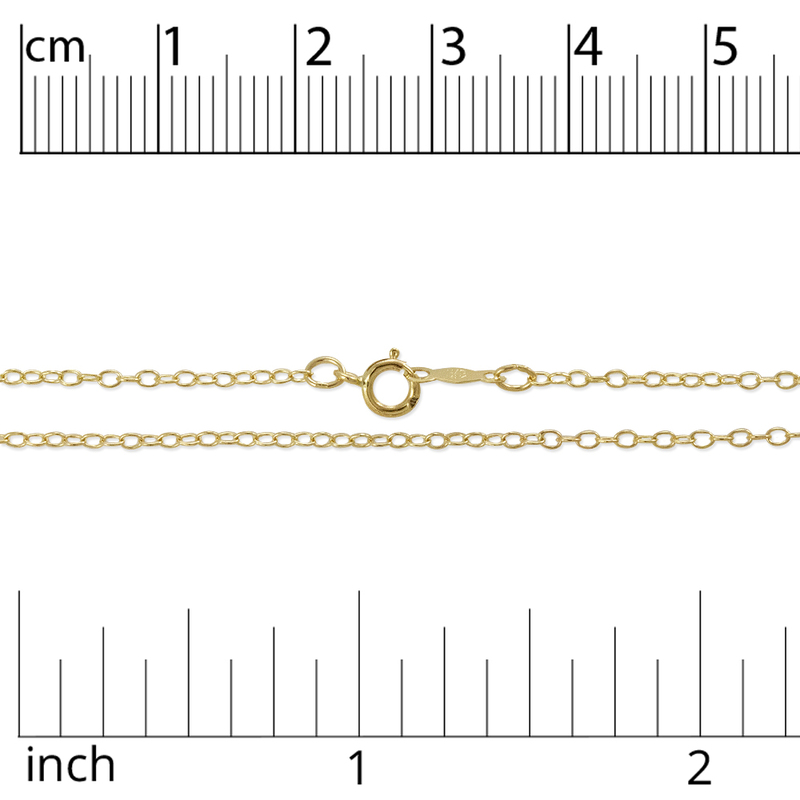 Q: The chain is 18'' in length, can I buy chain with 24''?